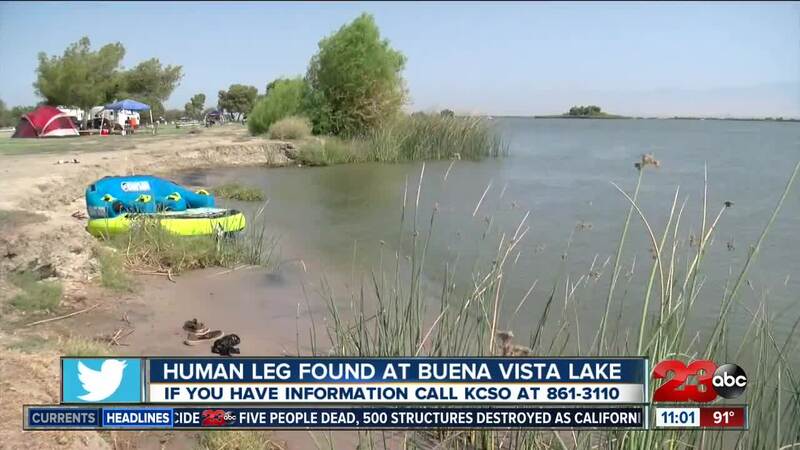 The Kern County Sheriff's Office says a portion of a human leg was found at Lake Buena Vista on Saturday. KCSO says deputies from the Taft Substation were called to the lake at about 9 a.m. for a report of human remains. 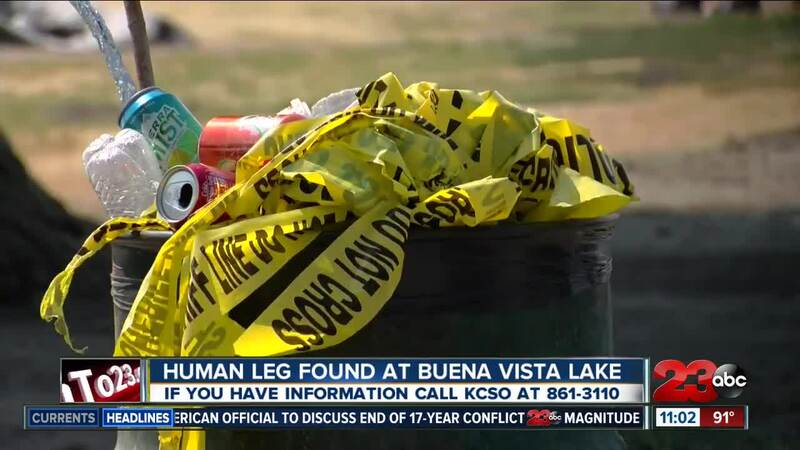 When they arrived, they found a portion of a human leg that had washed up on shore. Homicide detectives and a coroner investigator were called to the scene and collected the leg and began an investigation. At this time, the victim's identity and gender are unknown, and the investigation is ongoing. Anyone with information is asked to call KCSO at 661-861-3110 or the Secret Witness Hotline at 661-322-4040.